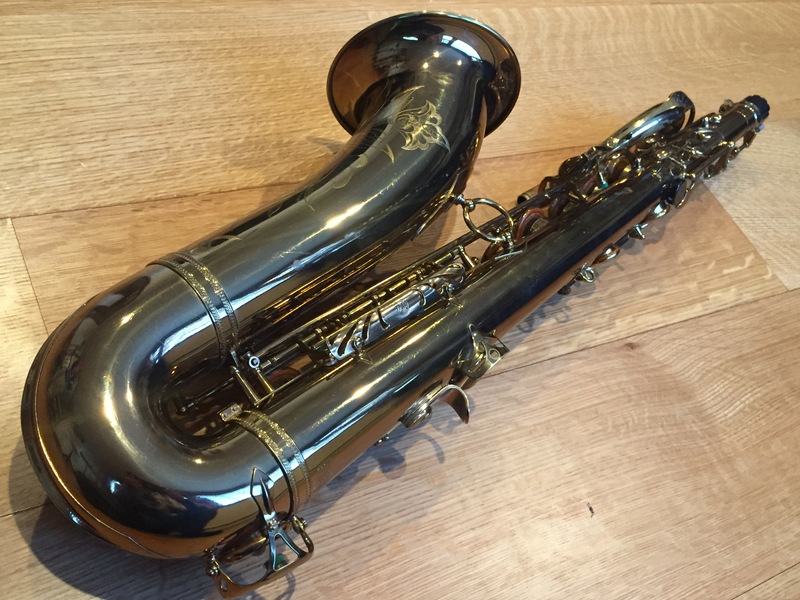 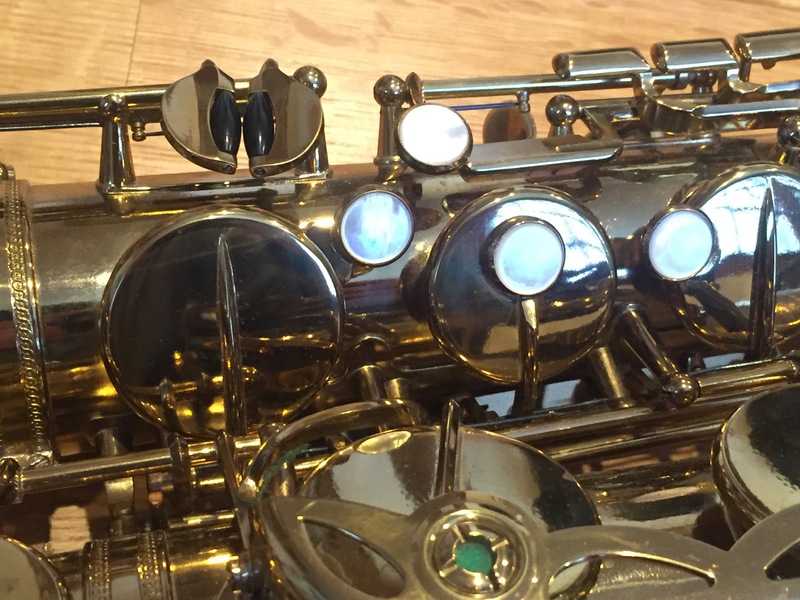 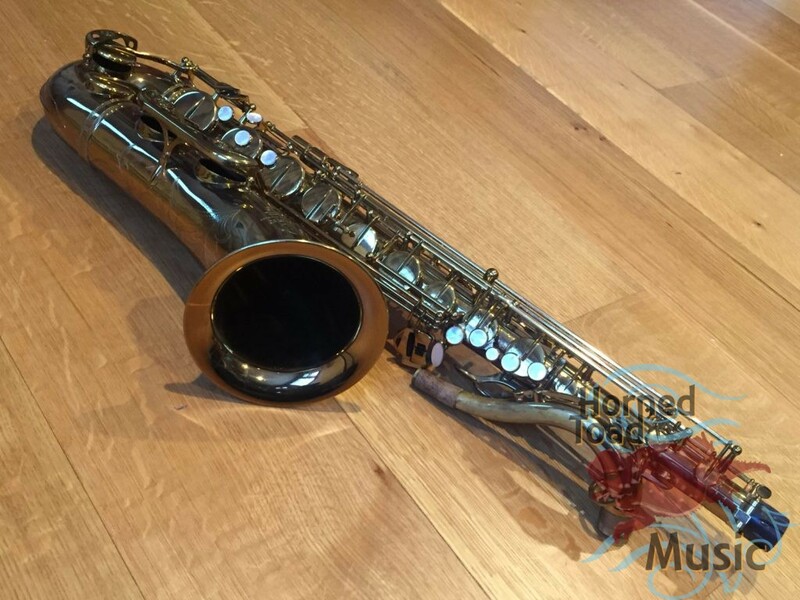 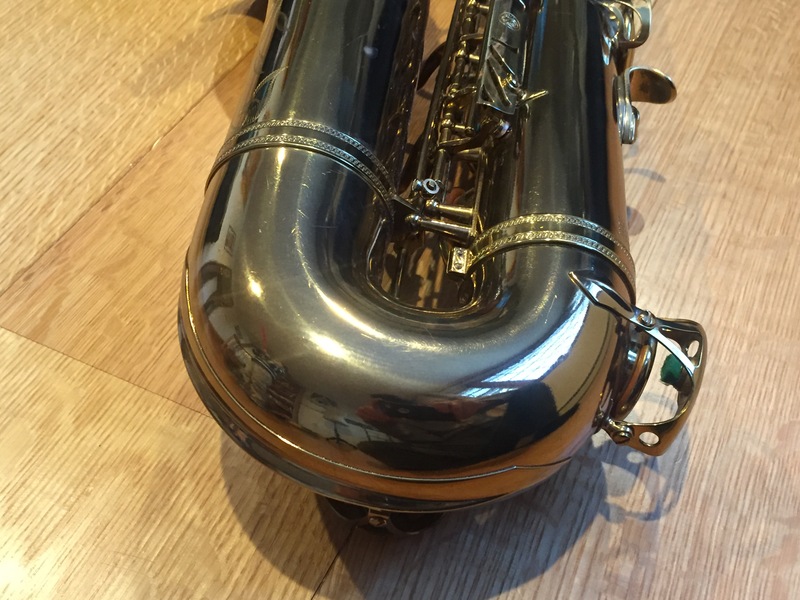 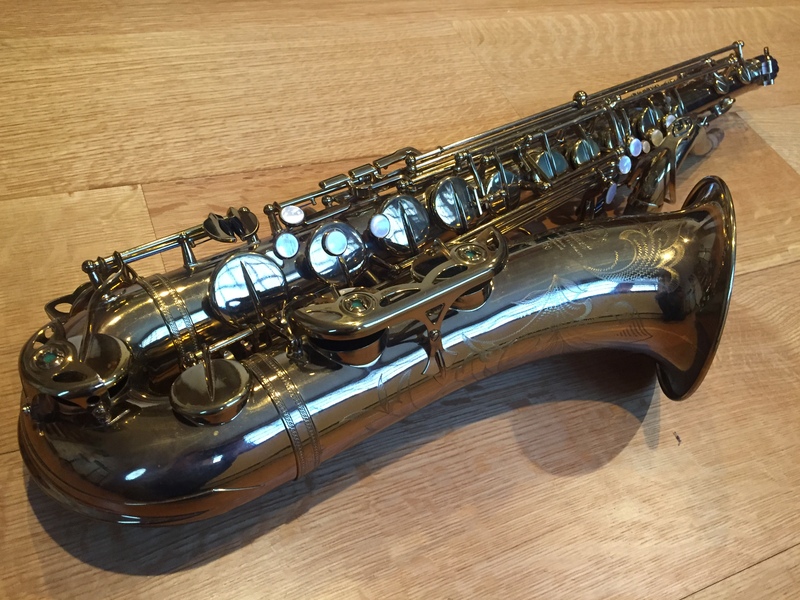 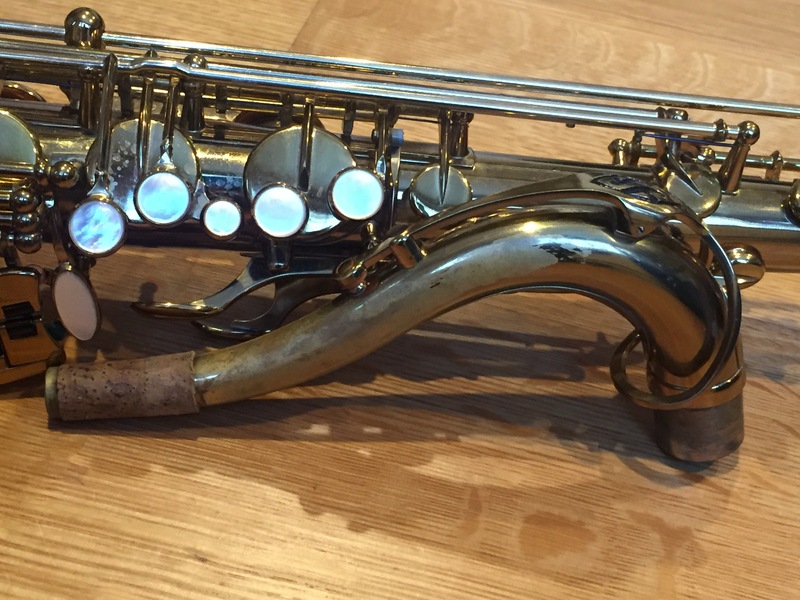 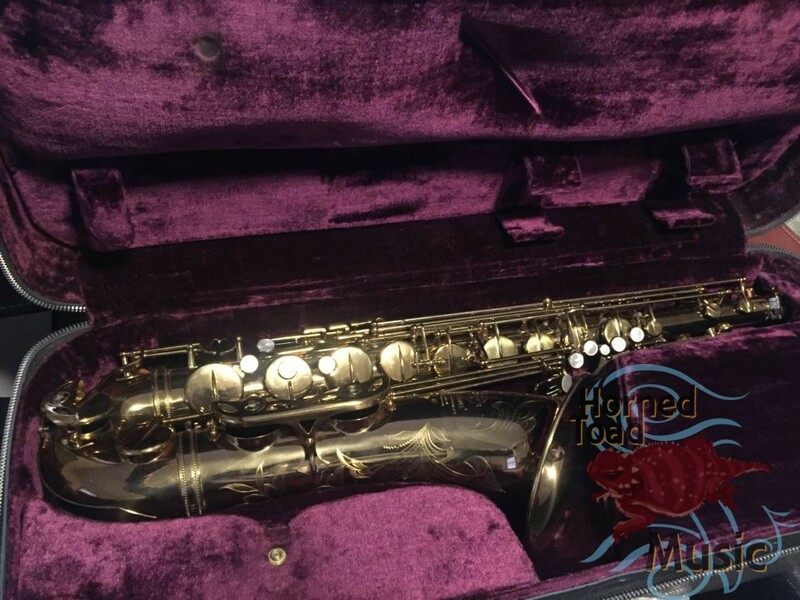 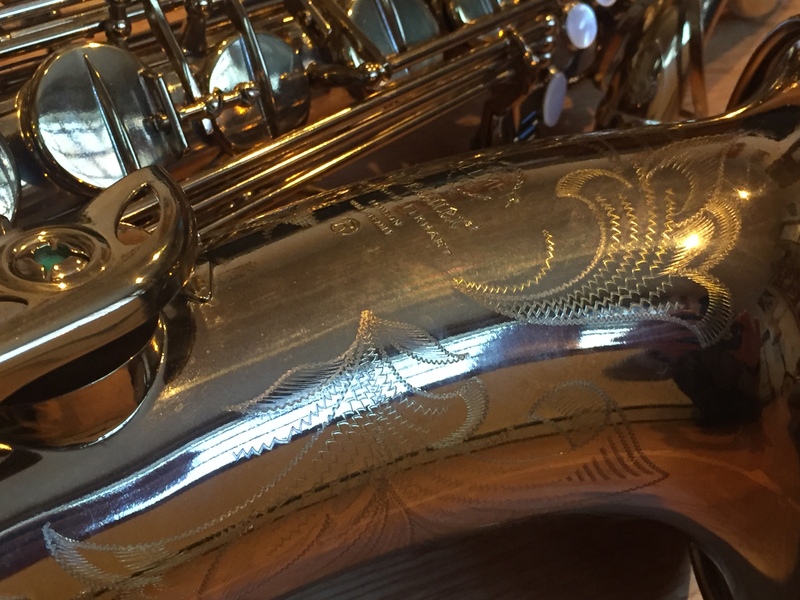 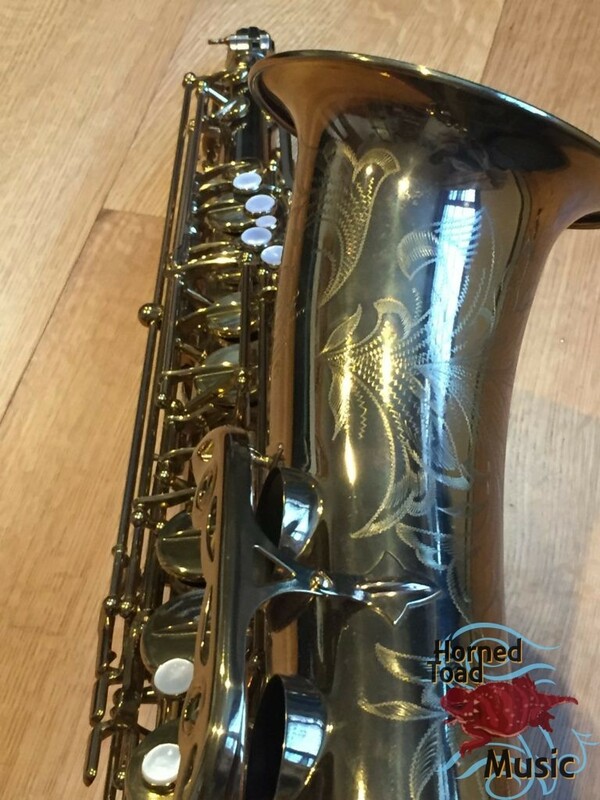 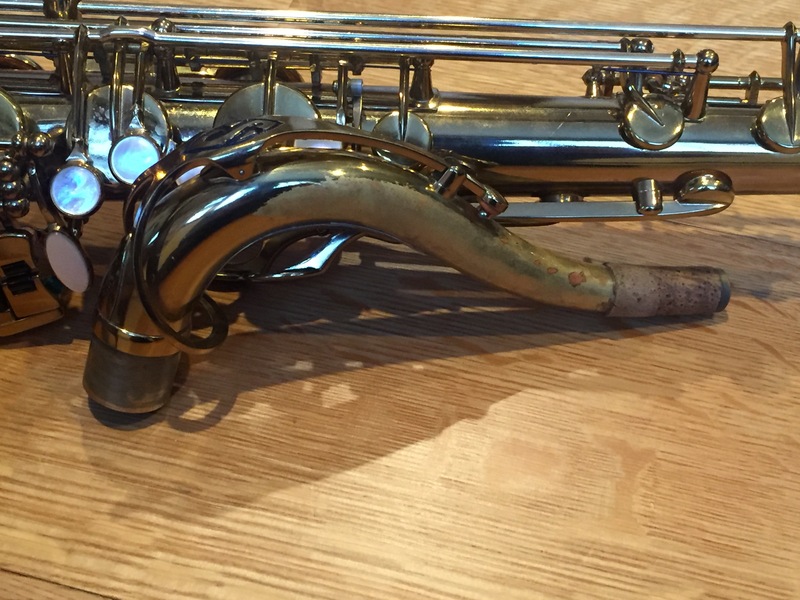 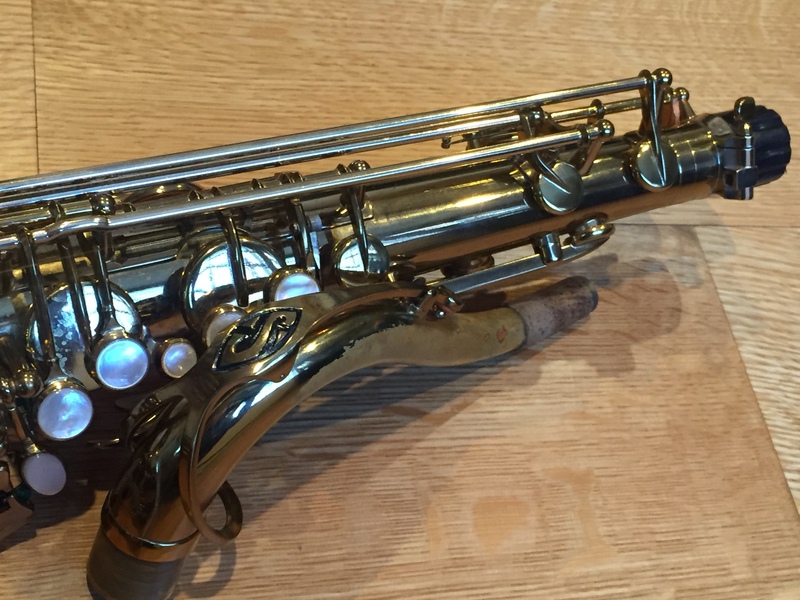 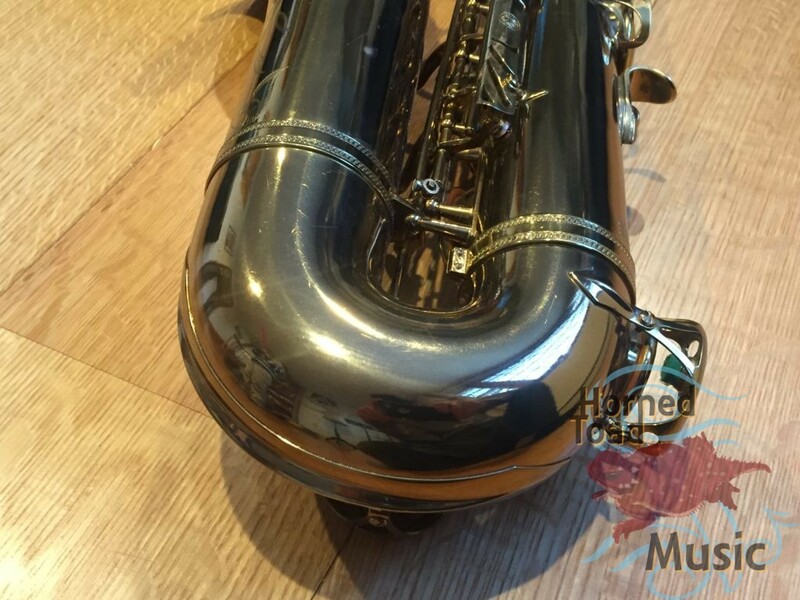 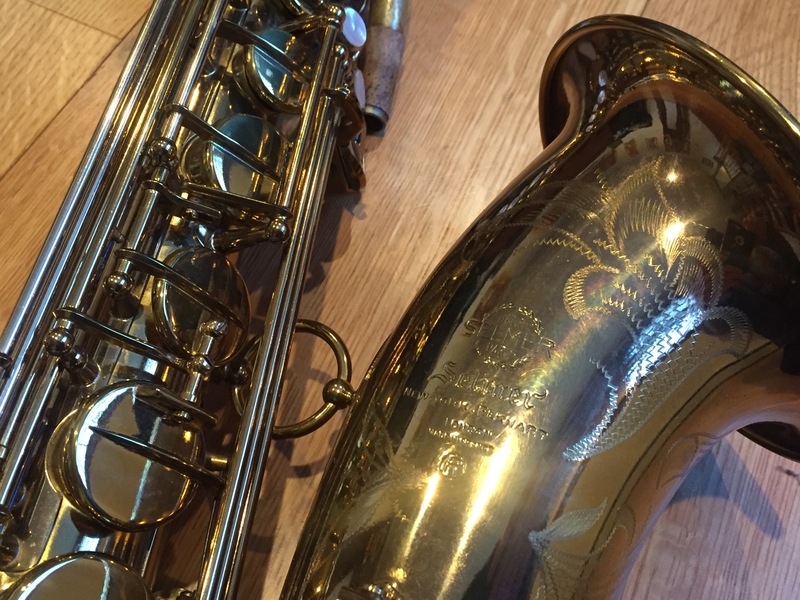 This 113xxx Selmer MK VI near mint original. 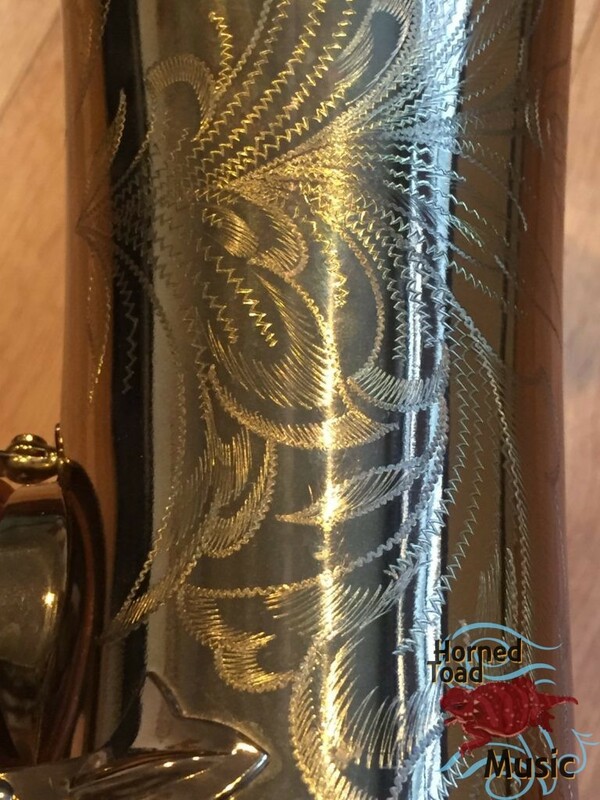 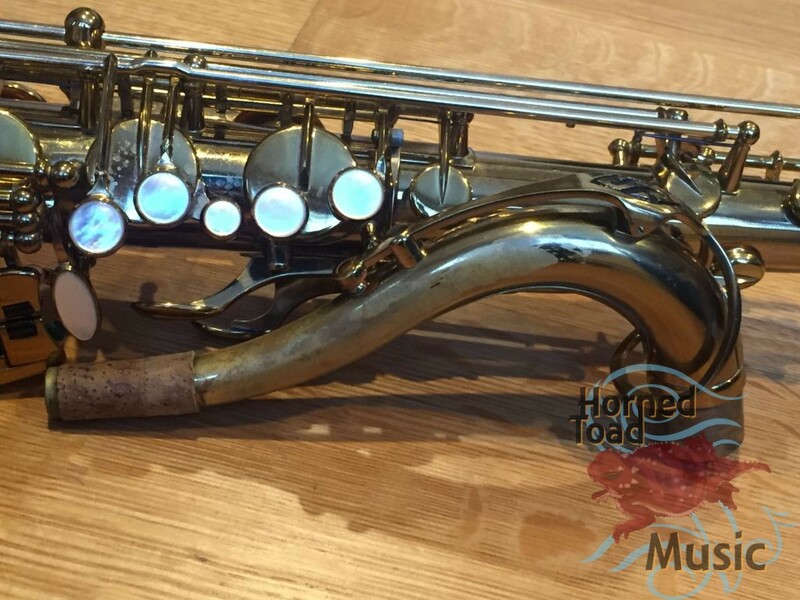 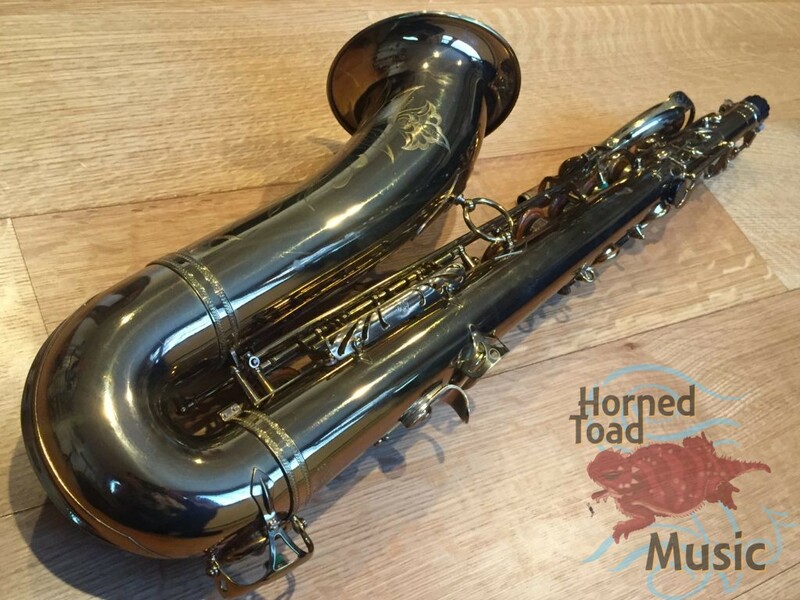 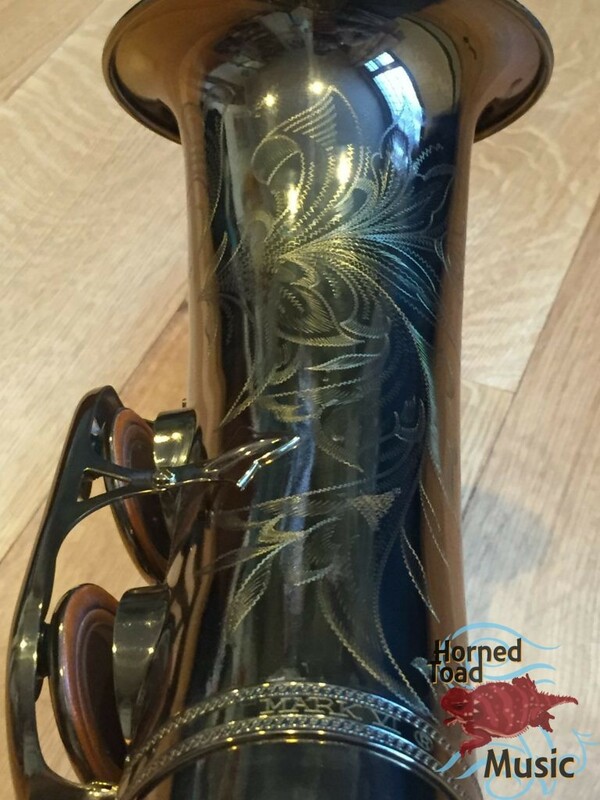 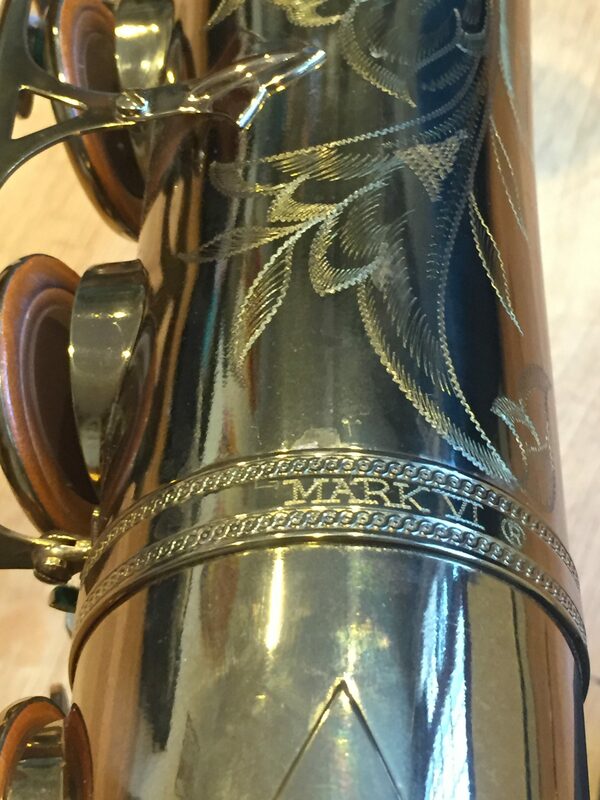 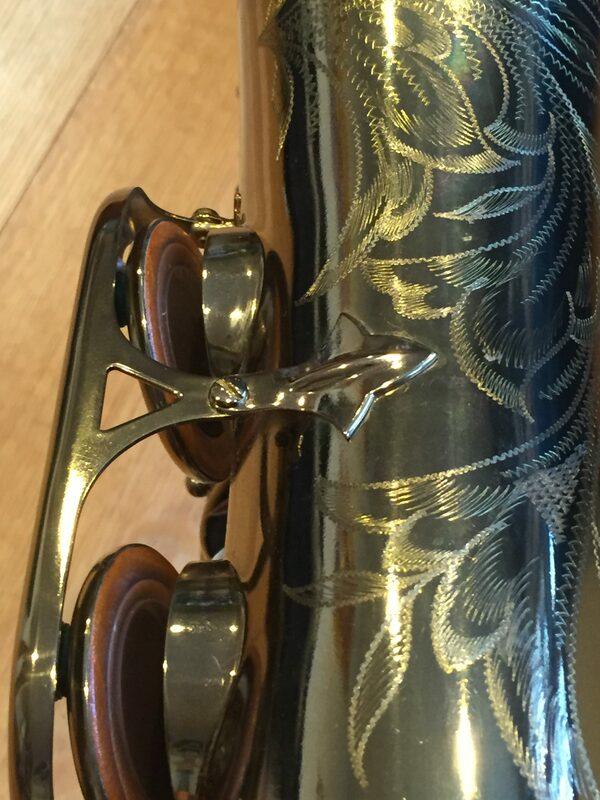 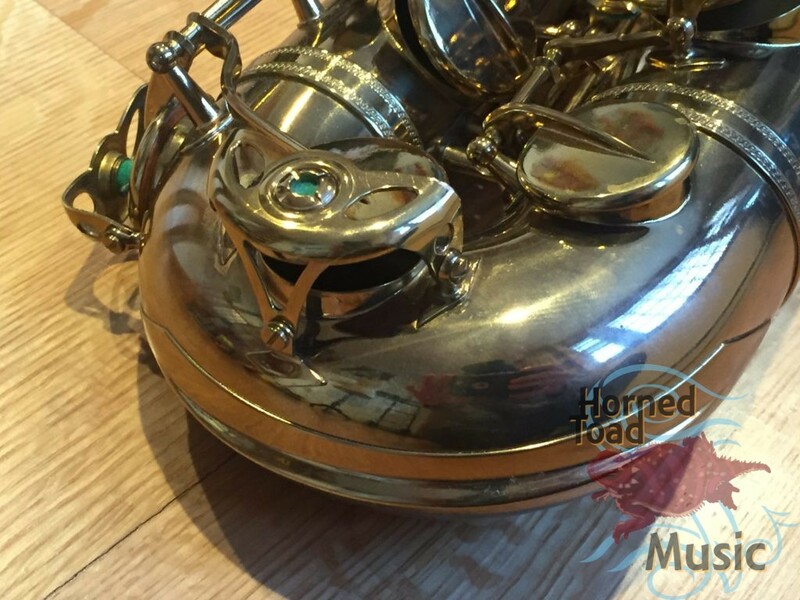 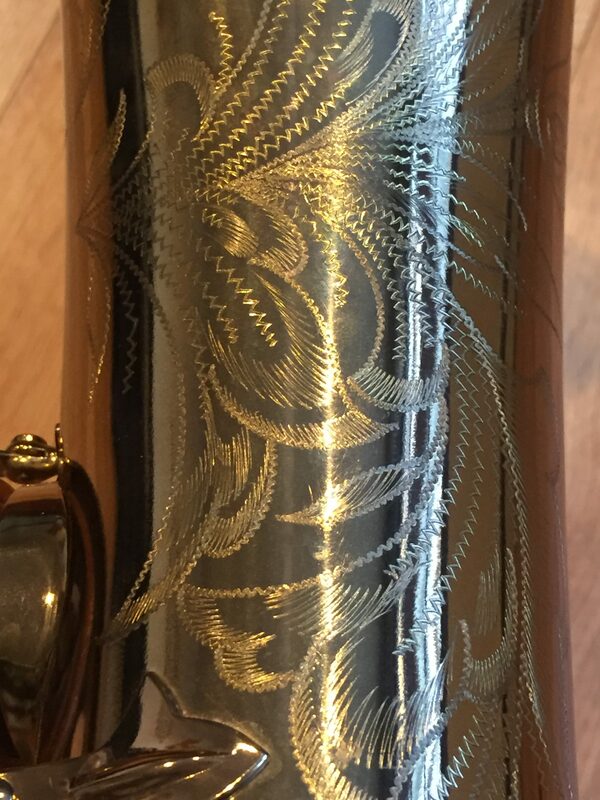 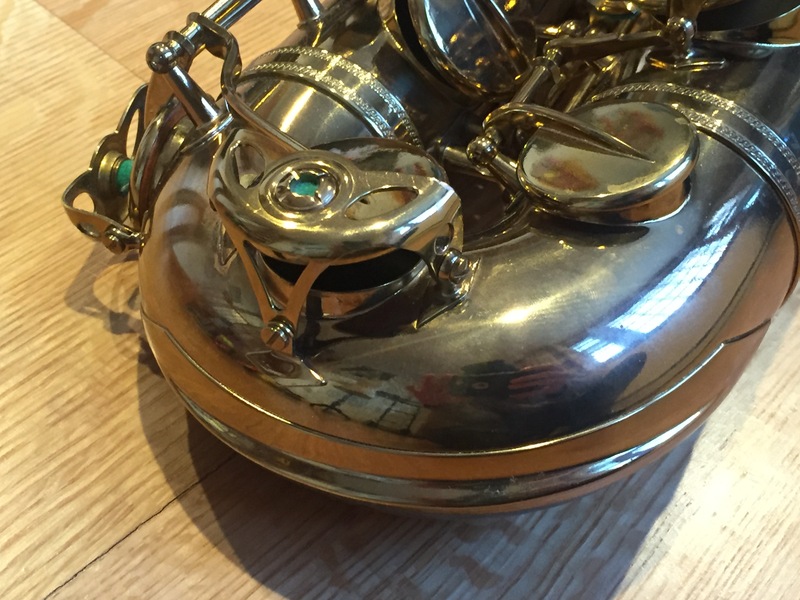 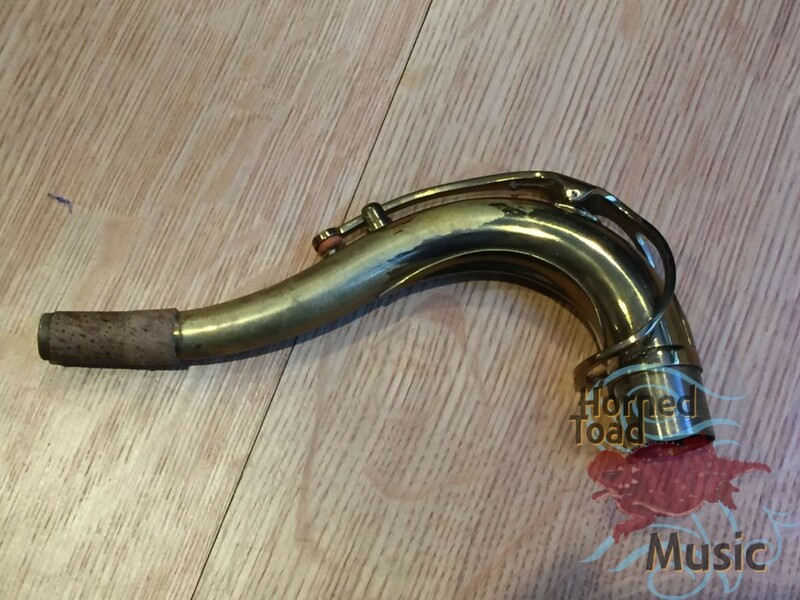 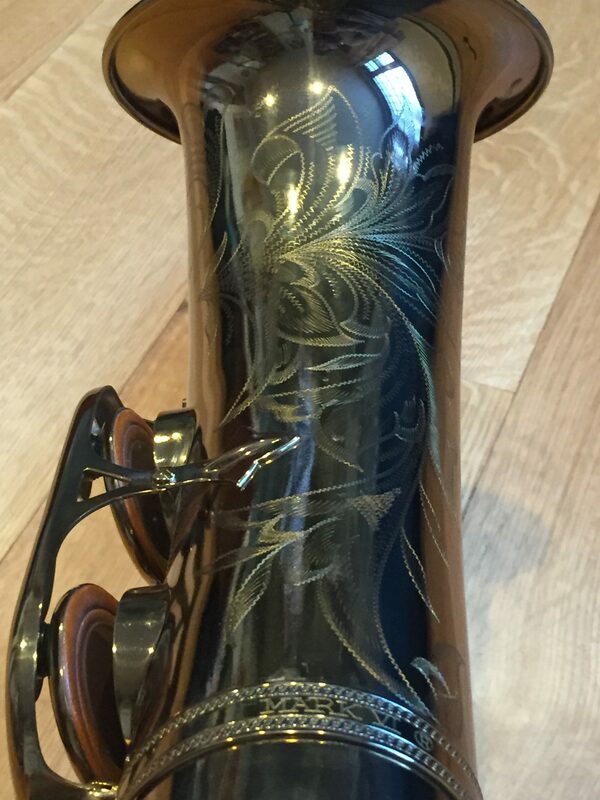 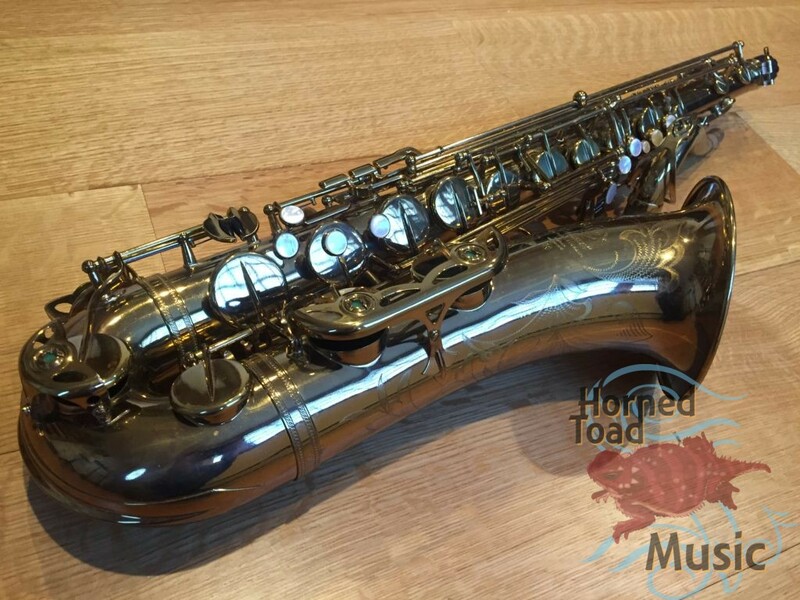 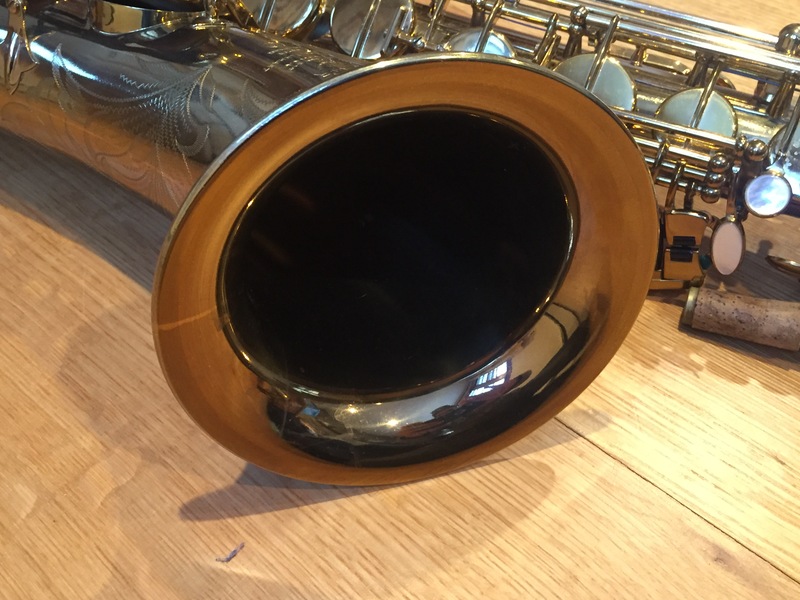 This horn has almost all of its original lacquer on the body but the previous owner’s wife mistakenly used some cleaner on the neck to remove tarnish or something. 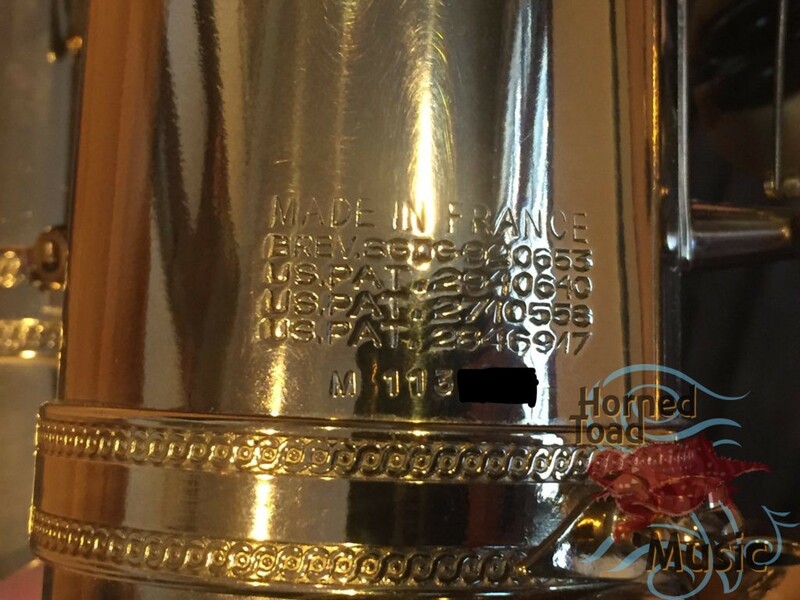 We can see the lacquer was just wiped of the end of the neck, it has never been bent or pulled down. This horn has barely ever been played. 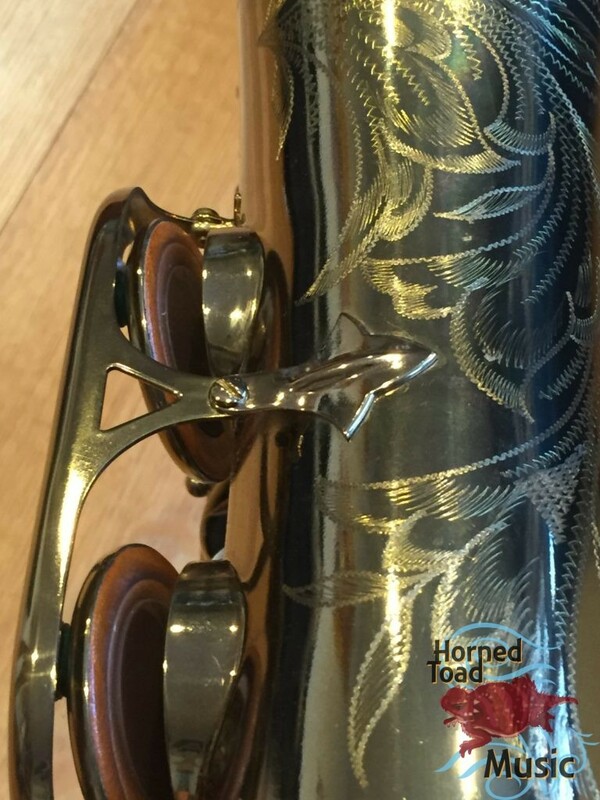 I believe most if not all the pads are original and the pearls are like new. 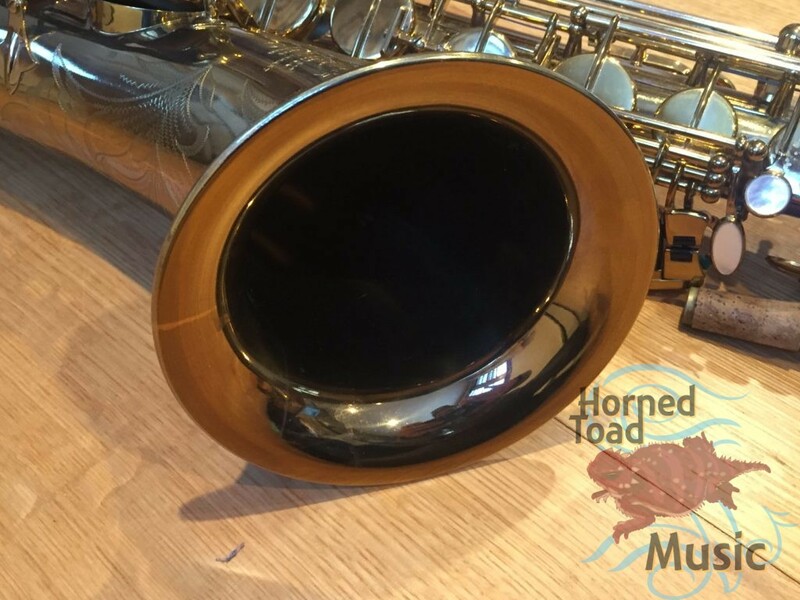 This horn even on the original pads plays quite nicely and the sound is very crisp and projecting and somewhat compact and focused and really kind of a bouncy bright feeling.